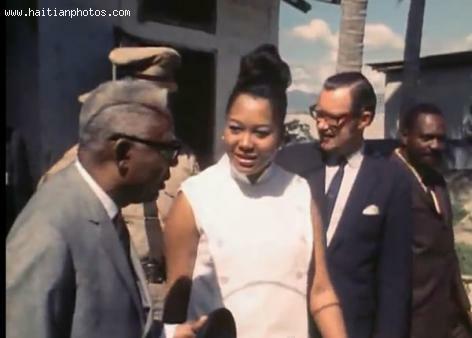 Here is a picture of Francois Duvalier with Daughter, Marie Denise Duvalier. Not much has been provided in term of information on Marie Denise Duvalier. However, little we know about her is that she is the legitimate daughter of former Haitian dictator Francois Duvalier and the older sister of former Haitian dictator Jean Claude Duvalier.